Pins, clips, ties, and bands to keep your hair lookin' Rotten Tomatoes Certified Fresh. These babies are rust-resistant with soft tips that won't dig into your scalp. 2. 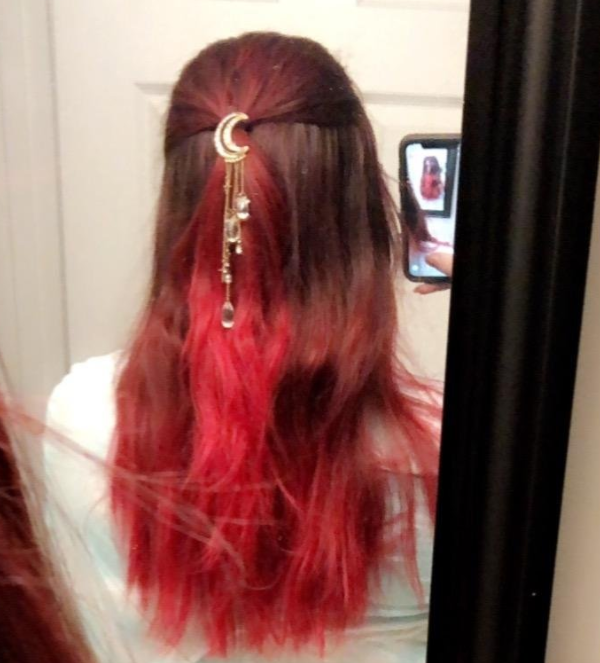 A hair clip sure to make everyone ask, "Where'd you get that?" Their response when you tell them? "You've got to be kitten me!" 3. 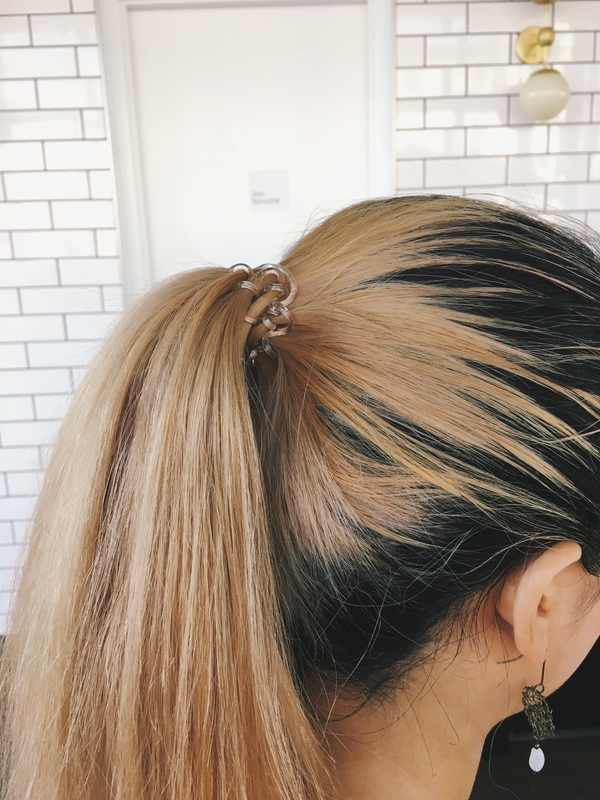 Ponytail holders that will not 👏 leave 👏 creases 👏 in your hair. 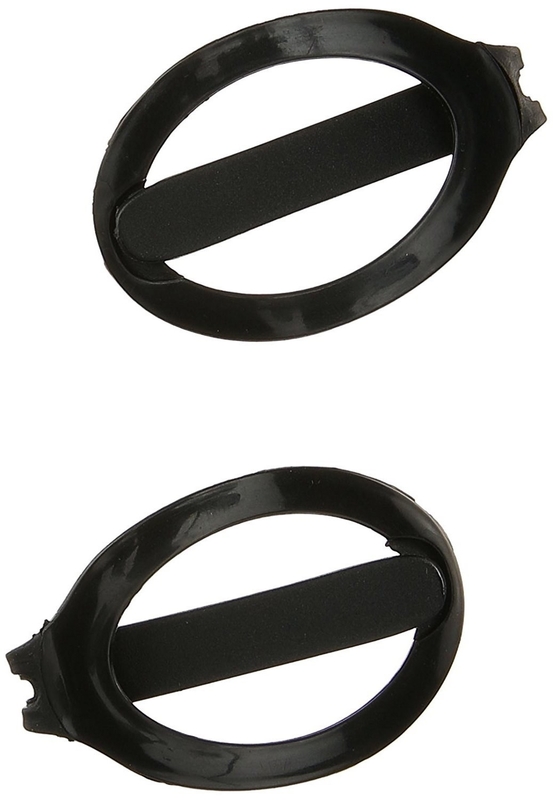 These will truly in-crease your hair tie standards. 4. A headband for all kinds of activities that would be deterred by hair in your face. Yoga! Running! Watching television! 5. Mini hair pins that will give you the ballerina bun of your The Nutcracker dreams. 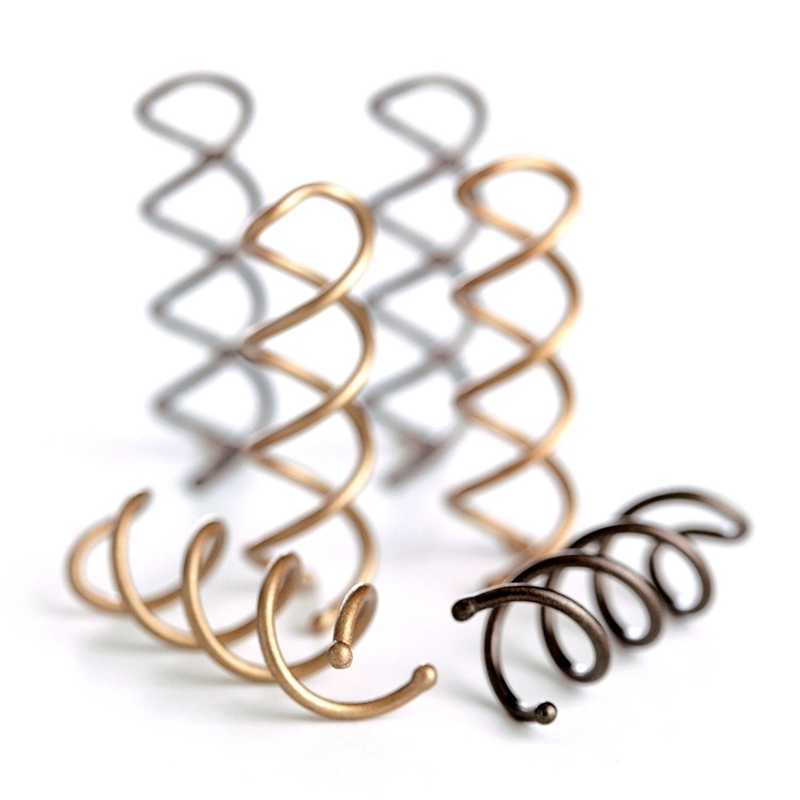 These little things can do the work of up to 20 hair pins! How does it work? 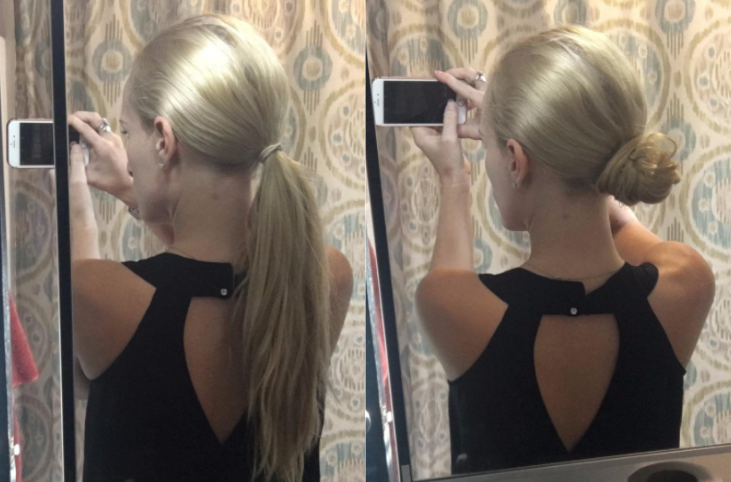 Just gather your hair, pull it into a super tight bun, spin the pins into place, and BAM! You've got yourself the perfect bun. 6. A pack of two rhinestone clips and three hair pins to give your 'do a touch of G-L-A-M-O-R-O-U-S, Fergie style. 7. Hair rings that will tie your hair up, sure. But the real winner winner chicken dinner here? They won't leave behind any dents. Check out our full review here (#6). 8. 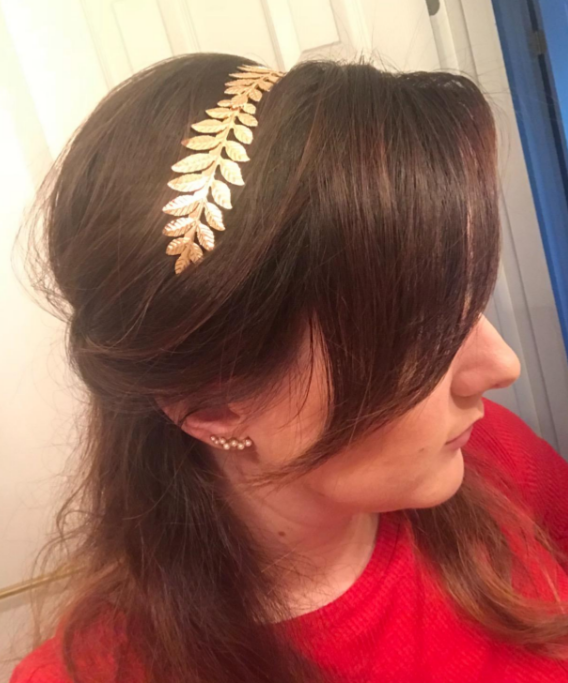 Vintage-looking bronze barrettes — they're way better than winning the silver or gold, let me tell ya! This pack comes with 10 hair pins and 12 barrettes! 9. 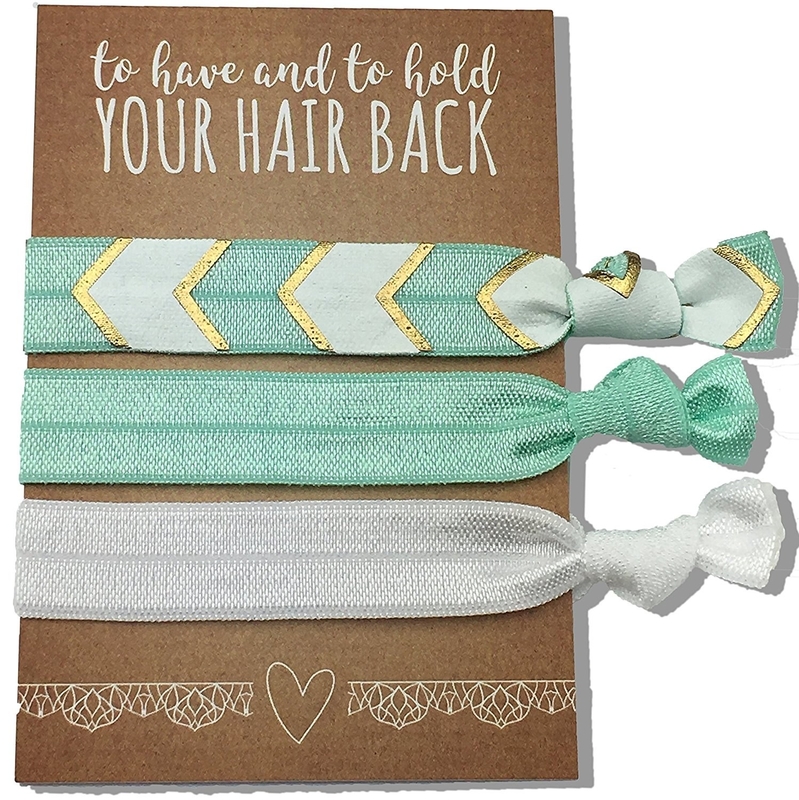 Seamless hair ties made for super thick hair. These trusty bands won't stretch, break, slip, OR damage your hair! 10. Velvet hair bands because it's time to retire all your old, stretched out, these-are-so-boring black ones. 11. 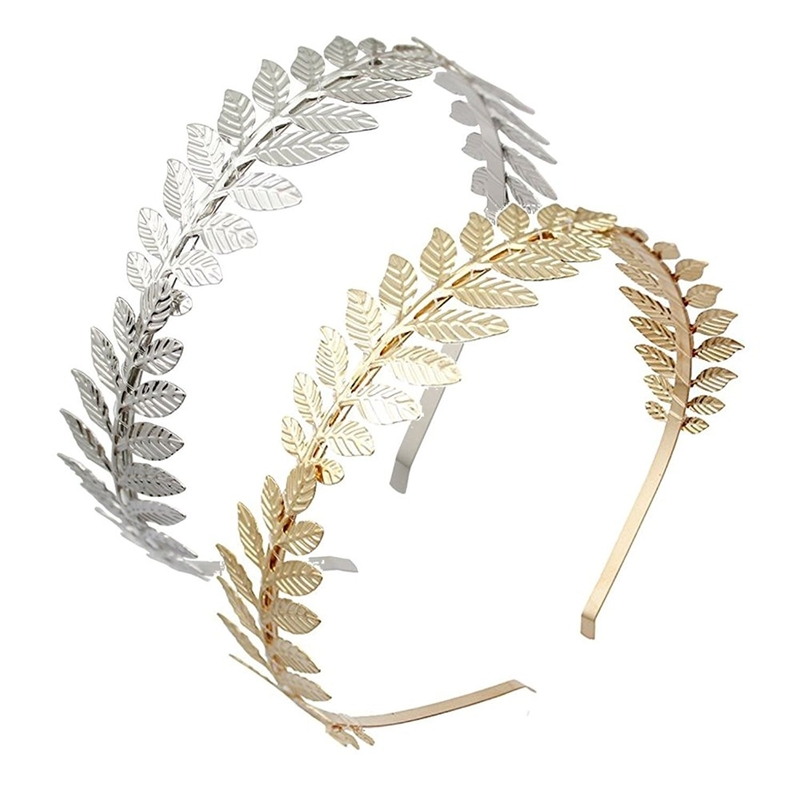 A dainty headpiece that will transform you into an (extremely trendy) ancient Greek goddess. Athena, is that you? Promising review: "This headband is so comfortable and doesn't cause headaches like some others. It's shiny and pretty, you can bend it to adjust the fit, and I get compliments on it all the time!" —Robert Smith Jr.
12. Rhinestone hair pins perfect for giving your fancy updo an even fancier touch. "So you say this wedding is black tie optional? Say no more." 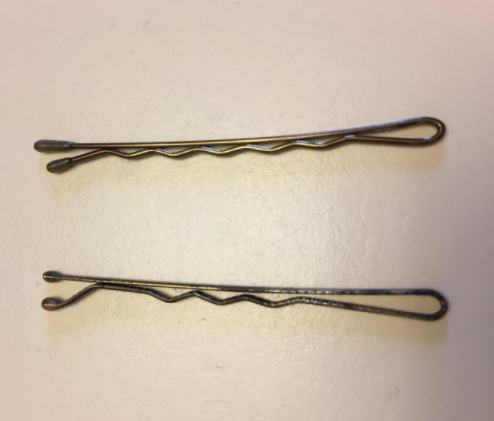 —these hair pins. 13. 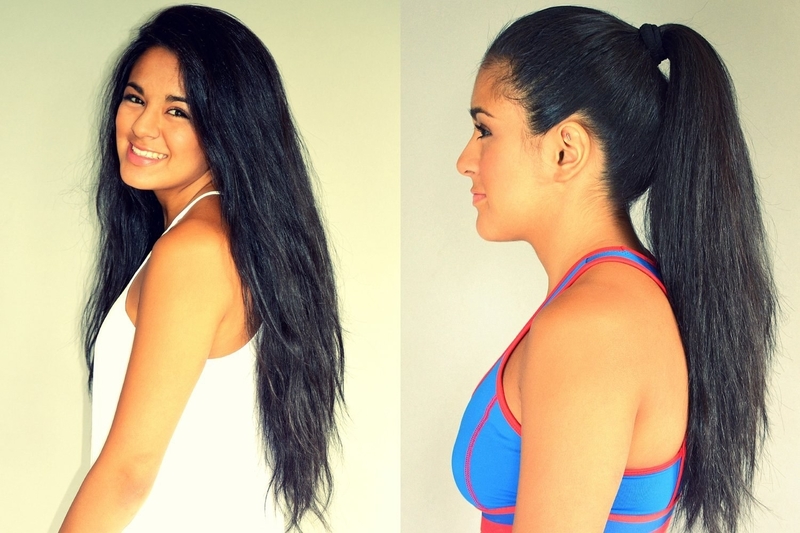 "Ouchless" flex barrettes that will keep your mane in place WITHOUT ripping any strands out in the process. 14. 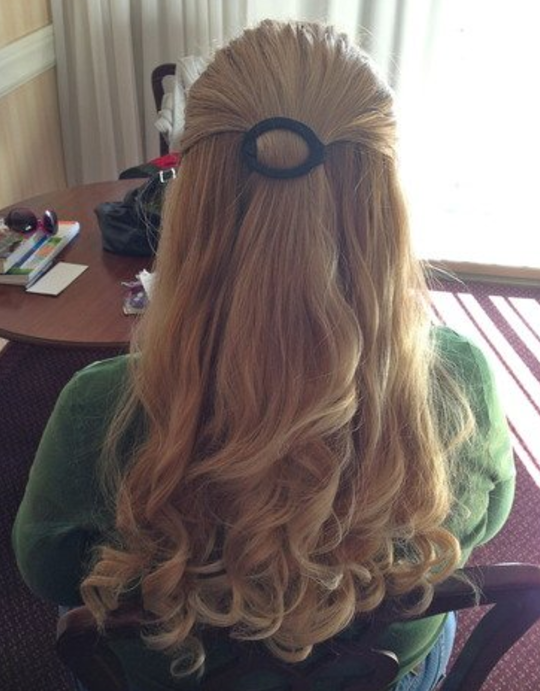 Ponytail holders perfect for all bridal party proposals and bachelorette getaways. 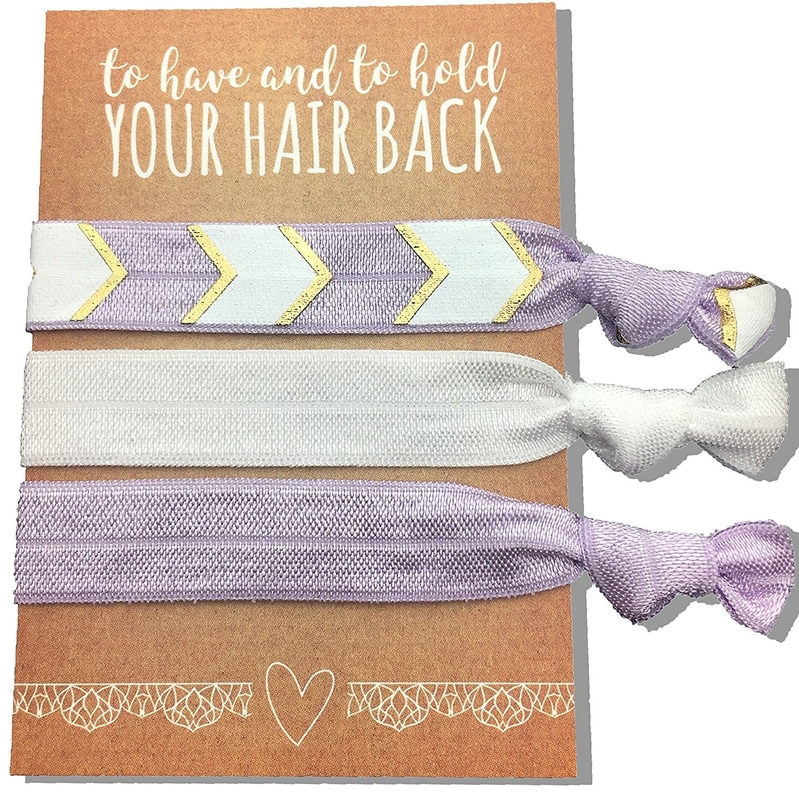 Your bridesmaid will want to have and to hold....these ties for forever! 15. Silver hair clips that, on top of looking fantastic, will ACTUALLY keep your mane in place. No slipping! No sliding! 16. A dri-fit head tie to keep your hair (AND SWEAT) out of your face whilst exercising and living a healthy life. Good for you. 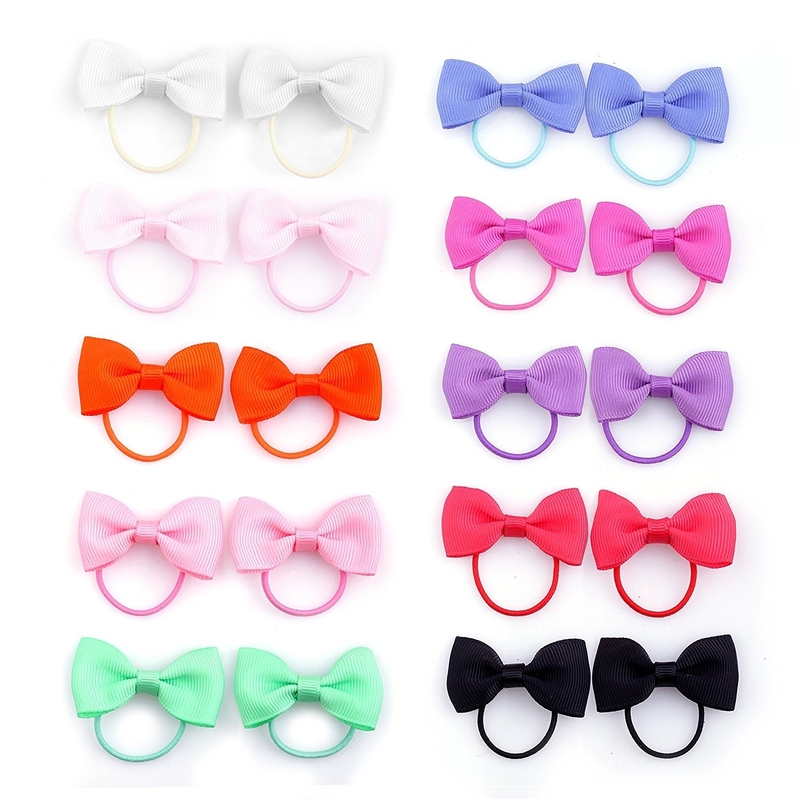 Promising review: "These bows are so cute. The quality is great, and so is the price! (I know that they're not intended for dogs, but they sure work for them!)" —Moe B. 18. A doughnut maker to give you an upscale, polished bun that even Audrey Hepburn would have been envious of — in only a few minutes. So how does this work? Just put your hair in a ponytail, slide the donut in, and spread your hair out around the donut itself. THEN! Just tuck the excess hair INSIDE the donut, add a few pins, and BOOM! You've got yourself the perfect bun. 19. Tree branch barrettes worthy of their own museum exhibit. These pretty little things are just so darn gorgeous! 20. Thick scrunchies perfect for all kinds of hair. Thin! Thick! Straight! Curly! Greasy! Clean! The sisterhood of the traveling hair ties, folks. 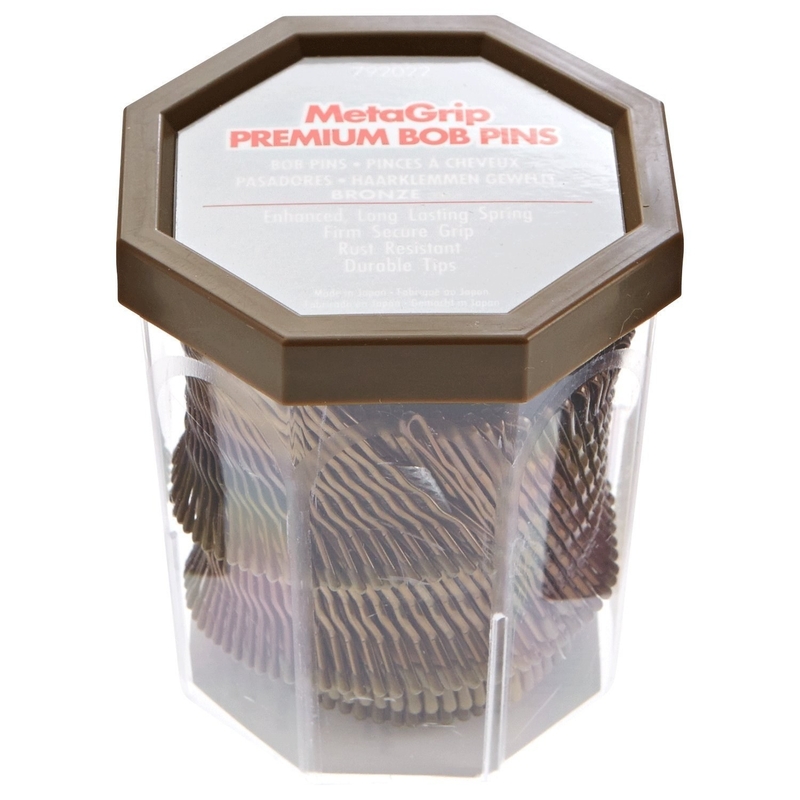 These'll hold your hair in place without pulling or tugging on your hair in the process. 21. 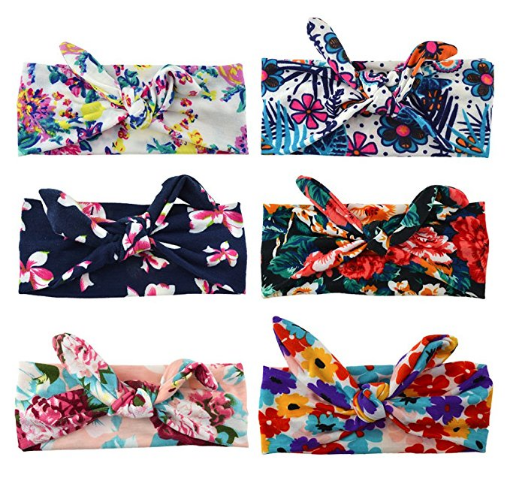 Headbands available in a banana bunch of styles. 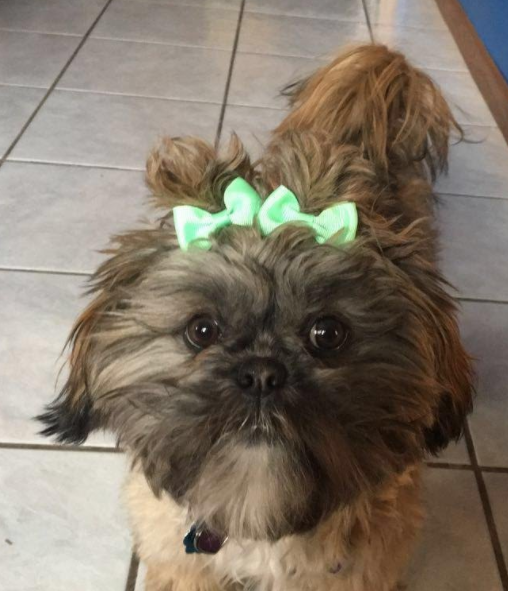 Bows? Check. Florals? Check. A bunch of muted neutrals you will want to purchase in bulk? Check check check. 22. Hair pins perfect for all wedding-related festivities. Wedding guests! Bridesmaids! Brides! 23. 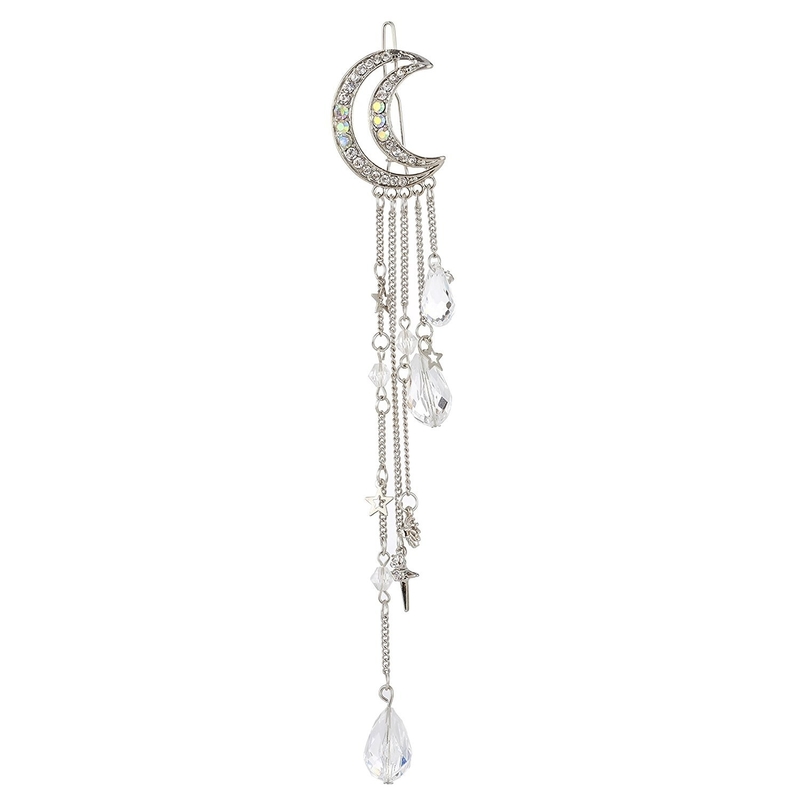 A moon clip that your hair style will revolve around. It may go against science, but I'm not sure what to tell you. 24. 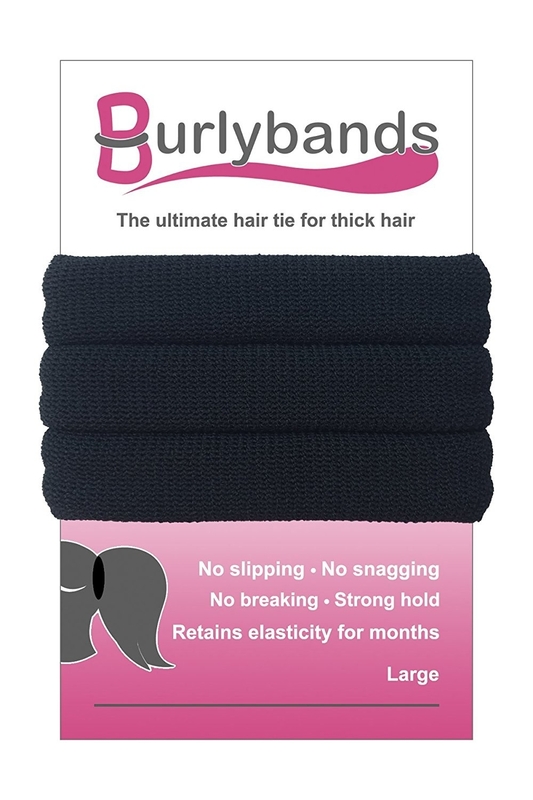 Hair ties with a nonslip grip, meaning there won't be strands of hair falling out of your ponytail and into your eyes. 25. Golden bee hair clips to give your 'do a little extra ~buzz~ when it's feelin' plain.